Despite this threat, real estate professionals in vulnerable areas say there’s still a premium on coastal homes. 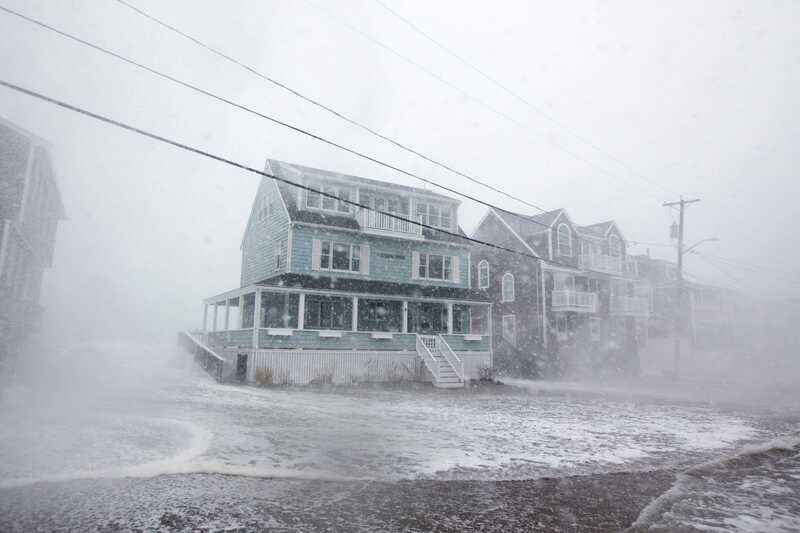 In the immediate aftermath of the storm, Sandy was at the forefront of buyers‘ minds. „There’s oceanfront in the Hamptons and then there’s everything else,“ said Matt Breitenbach, a local real estate broker. In recent years, he said, the area’s buyers have transitioned from old-money families to „late 30s private equity guys“ who value location over square footage. Instead of seeking out the typical Hamptons McMansion, they’re on the hunt for Malibu-style beach homes — the closer to the water, the better. But DeCurtis said that residents haven’t drawn a connection between the devastation of the past and the threat of future damage. The same goes for Hamptons buyers, who might consider rising sea levels, but won’t let it inform their purchase. „I remember thinking to myself that it probably should have been moved up higher in the event that something ever happened again,“ she said. But there were no requirements that prepared the building for rising sea levels. A year after Sandy, New York introduced a climate resiliency plan that included new building codes and $335 million worth of upgrades to Manhattan’s storm defenses. Both the costs and the guidelines are still being weighed. In the wake of Hurricane Michael, many have identified the need for similar upgrades. While Florida’s building codes were updated in 2007 to include safe construction elements like shatterproof windows, buttressed roofs, and stable concrete pillars, these regulations only applied to new construction within a mile of the shore. This meant that coastal structures that were either slightly inland or built prior to 2007 were ill-equipped to weather the storm. According to Albert Slap, the president of Coastal Risk Consulting, most building codes „are backward-looking“ when it comes to flood risk. One prominent exception, he said, is Miami Beach, which recently updated its code to require buildings to be elevated more than seven feet above the flood line. Many of Miami’s existing structures will have to be torn down and rebuilt to comply with the new rule. Over the next five to twenty years, Slap said, the city’s entire building stock will become more resilient, and its market value could increase. That is, until rising sea levels threaten to submerge the entire community. While Miami is able to rely on tourism and tax revenue to help fund its reconstruction, other cities are less fortunate. Slap said he’s particularly worried about Savannah, Charleston, Annapolis, and the Jersey Shore, which have a high flood risk, but fewer resources. „Having communities that are entirely devastated because we don’t want to bite the bullet and put in building code requirements at a higher cost does not serve us well in the long term,“ said Lisa Lindsay, the executive director of the nonprofit Private Risk Management Association. As in the housing bubble pre-2008, many buyers and sellers aren’t aware that there is a problem. 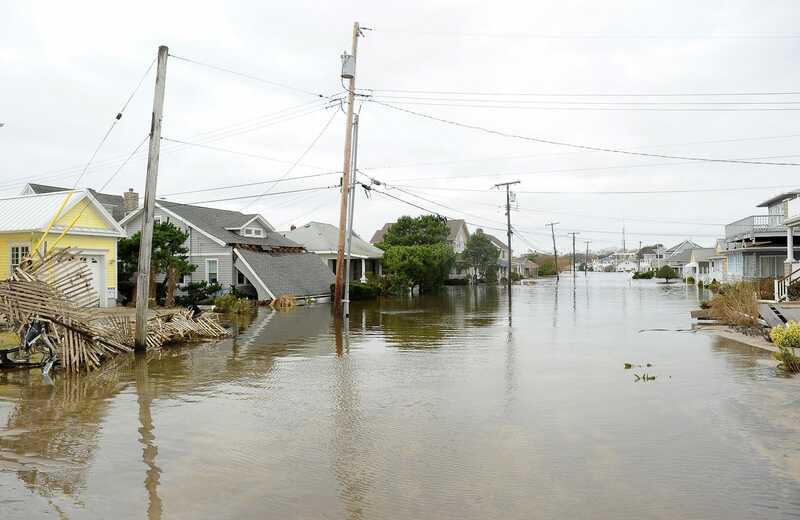 „If you take Hurricane Harvey, Hurricane Florence, and now Hurricane Michael, people who relied on FEMA flood maps to make decisions were tragically surprised when storm surge and other types of flooding reached them,“ said Slap. 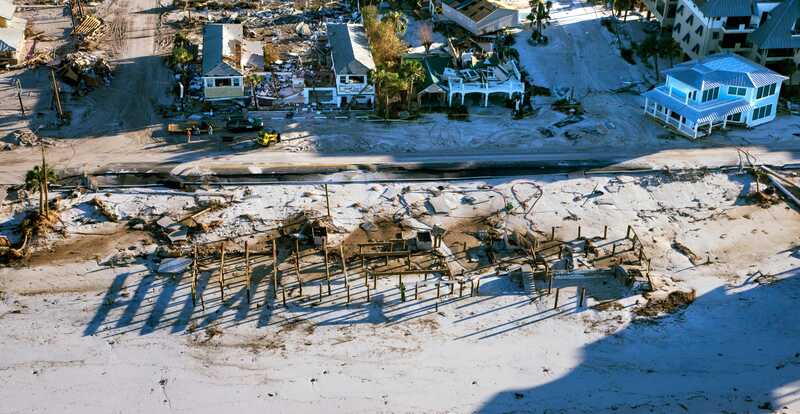 Prior to Hurricane Michael, owners of many damaged homes in Mexico Beach had been told they didn’t need flood insurance. A 2018 study from the University of Bristol finds that 41 million Americans are at risk of flooding from rivers, yet only 5 million Americans are protected by an insurance policy. As a broker, DeCurtis said it’s not her place to warn buyers about potential climate-related disasters.